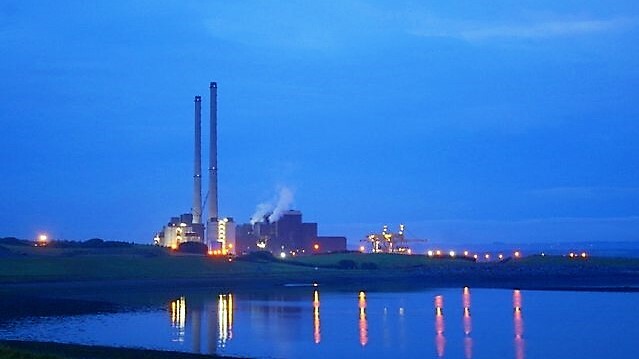 New EU emissions standards to tackle pollution from large combustion plants could “herald the closure” of Moneypoint power station, one of Ireland’s leading environmental NGOs has said. Good Energies Alliance Ireland (GEAI) praised the adoption of new European Commission rules that will force Europe’s power plants to either reduce air pollutant emissions or face closure. The new standards require emission limits for all large combustion plants to be in line with Best Available Technique (BAT) conclusions for large combustion plants. These are techniques which aim to significantly reduce emissions from nitrogen oxides (NOx), sulphur dioxide (SO2) and dust particles. EU governments have four years to adapt their energy stations to the new limits. The European Commission estimates that over 400,000 premature deaths are caused by exposure to air pollution. In Ireland, 1,200 people are estimated to die prematurely every year from air pollution. Large combustion plants such as ESB’s Moneypoint – Ireland’s only coal-fired power station – are responsible for about one-third of all air pollutants from the industrial sector in the EU. Dr Aedín McLoughlin of GEAI welcomed the new rules, stating that Ireland must take its “climate action obligations seriously” and stop “looking for ways to continue to pollute”. Speaking to The Green News, she called for new regulations to “become the stimulus to Ireland’s move away from coal and peat electricity generation”. The implementation of the new rules would “effectively herald the closure of the Moneypoint plant”, she added. Ms McLoughlin said, however, that the government has actively lobbied “to water down stricter standards for NOx emissions from hard coal” and to “keep the status quo for polluters”. She said that the solution to energy security in Ireland is the “harnessing of our substantial rural areas” for renewable energy generation that benefits both rural communities and developers. In a statement, ESB said that the company contributed to the development of the BAT conclusions and will continue to deliver emissions reductions in line with their “national and EU obligations under any revised regime”. The ESB is currently studying options to reduce carbon intensity at its power stations in Moneypoint, Lanesborough and Shannonbridge, including the potential use of renewable biomass, the statement reads. The state owned company said that the results of these studies will help it to “determine the future” of the three power stations. According to the European Environmental Bureau (EEB), the new rules signal that “the end for coal in Europe is looming”, while ensuring that large power plants still in operation use the best available techniques to limit pollution. This will lead to substantial “reductions in emissions” and improve air quality in Europe, the Bureau said.